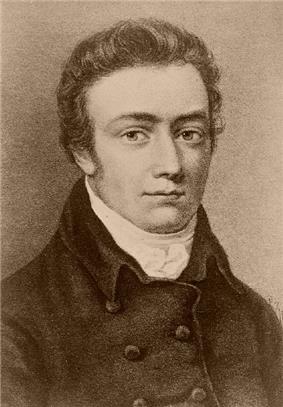 Samuel Taylor Coleridge (; 21 October 1772 – 25 July 1834) was an English poet, literary critic and philosopher who, with his friend William Wordsworth, was a founder of the Romantic Movement in England and a member of the Lake Poets. He wrote the poems The Rime of the Ancient Mariner and Kubla Khan, as well as the major prose work Biographia Literaria. His critical work, especially on Shakespeare, was highly influential, and he helped introduce German idealist philosophy to English-speaking culture. He coined many familiar words and phrases, including the celebrated suspension of disbelief. He was a major influence on Emerson, and American transcendentalism. 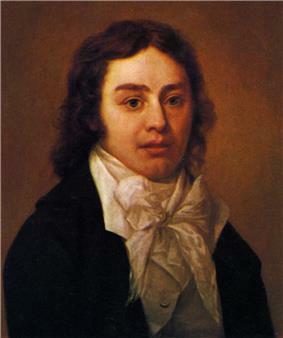 Coleridge was born on 21 October 1772 in the country town of Ottery St Mary, Devonshire, England. Samuel's father, the Reverend John Coleridge (1718–1781), was a well-respected vicar of the parish and headmaster of Henry VIII's Free Grammar School at Ottery. He had three children by his first wife. Samuel was the youngest of ten by Reverend Coleridge's second wife, Anne Bowden (1726–1809). Coleridge suggests that he "took no pleasure in boyish sports" but instead read "incessantly" and played by himself. After John Coleridge died in 1781, 8-year-old Samuel was sent to Christ's Hospital, a charity school which was founded in the 16th century in Greyfriars, London, where he remained throughout his childhood, studying and writing poetry. At that school Coleridge became friends with Charles Lamb, a schoolmate, and studied the works of Virgil and William Lisle Bowles. In one of a series of autobiographical letters written to Thomas Poole, Coleridge wrote: "At six years old I remember to have read Belisarius, Robinson Crusoe, and Philip Quarll – and then I found the Arabian Nights' Entertainments – one tale of which (the tale of a man who was compelled to seek for a pure virgin) made so deep an impression on me (I had read it in the evening while my mother was mending stockings) that I was haunted by spectres whenever I was in the dark – and I distinctly remember the anxious and fearful eagerness with which I used to watch the window in which the books lay – and whenever the sun lay upon them, I would seize it, carry it by the wall, and bask, and read." Throughout his life, Coleridge idealised his father as pious and innocent, while his relationship with his mother was more problematic. His childhood was characterised by attention seeking, which has been linked to his dependent personality as an adult. He was rarely allowed to return home during the school term, and this distance from his family at such a turbulent time proved emotionally damaging. He later wrote of his loneliness at school in the poem Frost at Midnight: "With unclosed lids, already had I dreamt/Of my sweet birthplace." From 1791 until 1794, Coleridge attended Jesus College, Cambridge. In 1792, he won the Browne Gold Medal for an ode that he wrote on the slave trade. In December 1793, he left the college and enlisted in the Royal Dragoons using the false name "Silas Tomkyn Comberbache", perhaps because of debt or because the girl that he loved, Mary Evans, had rejected him. Afterwards, he was rumoured to have had a bout of severe depression. His brothers arranged for his discharge a few months later under the reason of "insanity" and he was readmitted to Jesus College, though he would never receive a degree from Cambridge. In 1800, he returned to England and shortly thereafter settled with his family and friends at Keswick in the Lake District of Cumberland to be near Grasmere, where Wordsworth had moved. Soon, however, he was beset by marital problems, nightmares, illnesses, increased opium dependency, tensions with Wordsworth, and a lack of confidence in his poetic powers, all of which fuelled the composition of Dejection: An Ode and an intensification of his philosophical studies. In 1802, Coleridge took a nine-day walking holiday in the fells of the Lake District. He made an ascent of Scafell Pike which is notable for three things: it was the first written record of a climb of this mountain; it was a very early, if not the first "recreational" rock climb; Coleridge took a particularly dangerous route down the mountain, which he was lucky to survive. Between 1810 and 1820, this "giant among dwarfs", as he was often considered by his contemporaries, gave a series of lectures in London and Bristol – those on Shakespeare renewed interest in the playwright as a model for contemporary writers. Much of Coleridge's reputation as a literary critic is founded on the lectures that he undertook in the winter of 1810–11 which were sponsored by the Philosophical Institution and given at Scot's Corporation Hall off Fetter Lane, Fleet Street. These lectures were heralded in the prospectus as "A Course of Lectures on Shakespeare and Milton, in Illustration of the Principles of Poetry." Coleridge's ill-health, opium-addiction problems, and somewhat unstable personality meant that all his lectures were plagued with problems of delays and a general irregularity of quality from one lecture to the next. Furthermore, Coleridge's mind was extremely dynamic and his personality was spasmodic. As a result of these factors, Coleridge often failed to prepare anything but the loosest set of notes for his lectures and regularly entered into extremely long digressions which his audiences found difficult to follow. However, it was the lecture on Hamlet given on 2 January 1812 that was considered the best and has influenced Hamlet studies ever since. Before Coleridge, Hamlet was often denigrated and belittled by critics from Voltaire to Dr. Johnson. Coleridge rescued Hamlet and his thoughts on the play are often still published as supplements to the text. In 1817, Coleridge, with his addiction worsening, his spirits depressed, and his family alienated, took residence in the Highgate homes, then just north of London, of the physician James Gillman, first at South Grove and later at the nearby 3 The Grove. Gillman was partially successful in controlling the poet's addiction. Coleridge remained in Highgate for the rest of his life, and the house became a place of literary pilgrimage of writers including Carlyle and Emerson. In Gillman's home, he finished his major prose work, the Biographia Literaria (1817), a volume composed of 23 chapters of autobiographical notes and dissertations on various subjects, including some incisive literary theory and criticism. He composed much poetry here and had many inspirations – a few of them from opium overdose. Perhaps because he conceived such grand projects, he had difficulty carrying them through to completion, and he berated himself for his "indolence". It is unclear whether his growing use of opium (and the brandy in which it was dissolved) was a symptom or a cause of his growing depression. He published other writings while he was living at the Gillman homes, notably Sibylline Leaves (1817), Hush (1820), Aids to Reflection (1825), and On the Constitution of the Church and State (1830). He died in Highgate, London on 25 July 1834 as a result of heart failure compounded by an unknown lung disorder, possibly linked to his use of opium. Coleridge had spent 18 years under the roof of the Gillman family, who built an addition onto their home to accommodate the poet. Despite not enjoying the name recognition or popular acclaim that Wordsworth or Shelley have had, Coleridge is one of the most important figures in English poetry. His poems directly and deeply influenced all the major poets of the age. 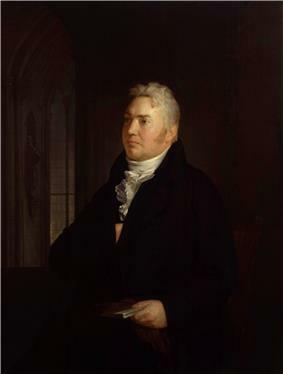 He was known by his contemporaries as a meticulous craftsman who was more rigorous in his careful reworking of his poems than any other poet, and Southey and Wordsworth were dependent on his professional advice. His influence on Wordsworth is particularly important because many critics have credited Coleridge with the very idea of "Conversational Poetry". 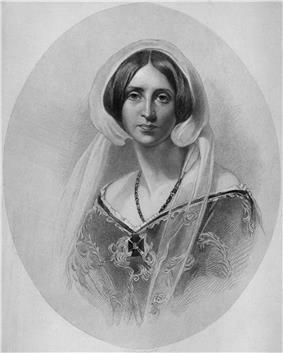 The idea of utilising common, everyday language to express profound poetic images and ideas for which Wordsworth became so famous may have originated almost entirely in Coleridge’s mind. It is difficult to imagine Wordsworth’s great poems, The Excursion or The Prelude, ever having been written without the direct influence of Coleridge’s originality. As important as Coleridge was to poetry as a poet, he was equally important to poetry as a critic. Coleridge's philosophy of poetry, which he developed over many years, has been deeply influential in the field of literary criticism. This influence can be seen in such critics as A.O. Lovejoy and I.A. Richards. 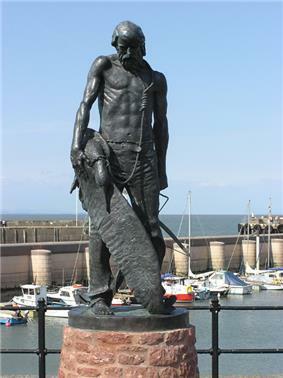 Coleridge is probably best known for his long poems, The Rime of the Ancient Mariner and Christabel. Even those who have never read the Rime have come under its influence: its words have given the English language the metaphor of an albatross around one's neck, the quotation of "water, water everywhere, nor any drop to drink" (almost always rendered as "but not a drop to drink"), and the phrase "a sadder and a wiser man" (again, usually rendered as "a sadder but wiser man"). The phrase "All creatures great and small" may have been inspired by The Rime: "He prayeth best, who loveth best;/ All things great and small;/ For the dear God who loveth us;/ He made and loveth all." Christabel is known for its musical rhythm, language, and its Gothic tale. 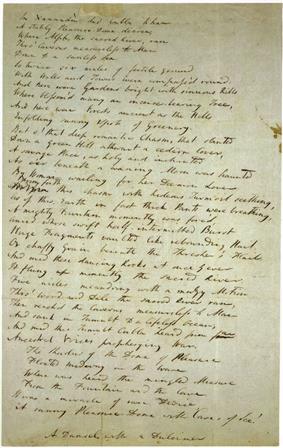 However, Coleridge used these elements in poems such as The Rime of the Ancient Mariner (1798), Christabel and Kubla Khan (published in 1816, but known in manuscript form before then) and certainly influenced other poets and writers of the time. Poems like these both drew inspiration from and helped to inflame the craze for Gothic romance. 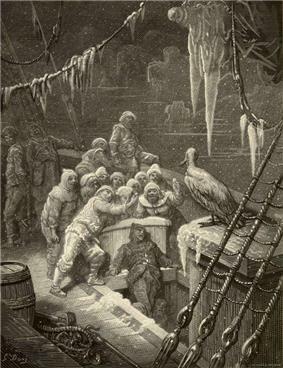 Mary Shelley, who knew Coleridge well, mentions The Rime of the Ancient Mariner twice directly in Frankenstein, and some of the descriptions in the novel echo it indirectly. Although William Godwin, her father, disagreed with Coleridge on some important issues, he respected his opinions and Coleridge often visited the Godwins. Mary Shelley later recalled hiding behind the sofa and hearing his voice chanting The Rime of the Ancient Mariner. ^ "Joshua Toulmin (*1331) 1740 – 1815. Calvert-Toulmin, Bruce. (2006) Toulmin Family Home Page.". Archived from the original on 12 September 2012. Obtained 21 October 2006. ^ Dickins, Gordon (1987). An Illustrated Literary Guide to Shropshire. Shropshire Libraries. p. 19. ^ The debate is being followed at a dedicated page on "Faustus (1821) controversy". Bloom, Harold (1971). The Visionary Company: A Reading of English Romantic Poetry (Revised Edition). Close readings of all of the Conversation Poems. Harper, George McLean (1969) . "Coleridge's Conversation Poems". Spirit of Delight. Ayer Publishing. Hesp, Martin, writing in Western Morning Press on riverside cave known to Coleridge at Ottery St Mary, Devon. Holmes, Richard (1982). Coleridge. Oxford University Press. Magnuson, Paul (2002). "The 'Conversation' poems". In Newlyn, Lucy. The Cambridge Companion to Coleridge. Cambridge University Press. pp. 32–44. Radley, Virginia L. (1966). 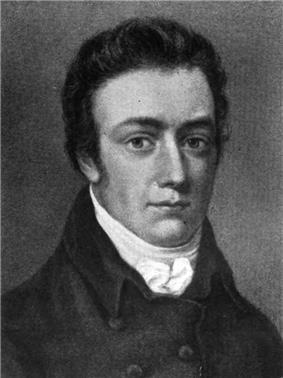 Samuel Taylor Coleridge. Twayne Publishers, Inc.
Riem, Natale Antonella (2005) The One Life. Coleridge and Hinduism, Jaipur-New Delhi, Rawat. Stockitt, Robin, Imagination and the Playfulness of God: The Theological Implications of Samuel Taylor Coleridge’s Definition of the Human Imagination (Eugene, OR, 2011) (Distinguished Dissertations in Christian Theology).